The Sanyo SCP-2400 was announced by Sprint today. While it looks like a conventional Sanyo flip phone, the SCP-2400 has parental control options that make its target age in the 8-12 range. The controls make it easy to set which calls the handset can make or receive. Data services can also be disabled to avoid suprise charges. 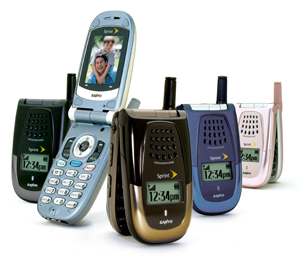 Sprint is charging $29.99 for the Sanyo SCP-2400 along with a 2-year service contract. It will hit stores in July. It will ship in five colors (see image below).